WHITNEY, Texas — A church in Texas has won a temporary injunction against its area school district after it was initially barred from hosting Bible studies at a local high school. Judge F.B. McGregor of the Hill County 66th District Court granted the request for a restraining order on Monday, which was filed by the Christian legal organization Liberty Institute on behalf of the Prairie Valley Baptist Church aka Christian Worldview Ministry. After Drew asked Solis to reconsider, Solis suggested that he present his request at the next school board meeting. But the board likewise denied Drew, stating that his ministry was too sectarian. It advised him to speak with the local ministerial alliance about the matter. In February, Drew addressed the board a second time in hopes that it would allow the Bible study to move forward, which he had now planned to host with another local pastor. But Solis urged the board to reject the request, stating that the Bible study would be “illegal” and violate the school board’s policies. Drew then obtained legal counsel from the Liberty Institute, who sent a letter to officials in March, stating that they were in violation of the Texas Religious Freedom Restoration Act, as well as the state and federal constitutions. Five area pastors also signed the letter in support of the Bible study. Days later, an attorney for the school district responded by advising that “faith-based and other outside groups” may use the facilities, but that the district has “discretion to permit or deny outside groups” the use of the property. He stated that because other religious groups have been granted access to the facilities, district officials were not infringing upon Drew’s constitutional rights by denying his request. The attorney later advised Drew to submit the facility use application, but he was again denied, this time because officials asserted that the Bible study could present a traffic congestion problem by holding it shortly after students are dismissed from school. The district also stated that classrooms needed to remain open for other extracurricular activities, as well as to be accessed by the custodian. As other groups allegedly use district facilities after school, the Liberty Institute filed a complaint in Texas district court. 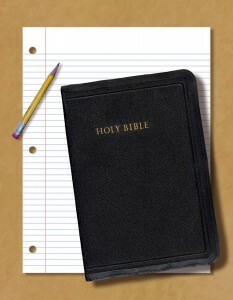 On Monday, the court allowed the Bible study to commence while the case moved forward.